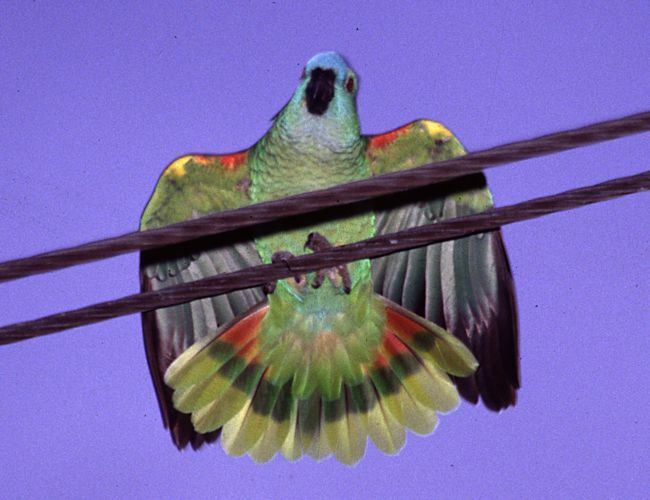 This photo appears on the back cover of Susan Epps's Parrots of South Florida. Susan showed me one of the local parrot roosts after a day spent hunting for a Ruddy Quail-Dove. We didn't find the Quail-Dove, but this photo was a nice consolation prize.